Join us to learn more about the Vision Zero Action plan process, key initiatives and results to date. National traffic fatalities are on the rise, especially among the most vulnerable street users: pedestrians, bicyclists, motorcyclists, people with low incomes, and people of color. Vision Zero is an international movement to address this reality, viewing crashes as a preventable public health crisis. More than 20 U.S. cities, including Denver and Boulder, have committed to Vision Zero and to eliminating traffic deaths. Vision Zero is a data-driven, transparent, and multi-agency approach that recognizes human imperfections. While mistakes will happen on our streets, they should not result in death. This program will provide an overview of Vision Zero, including how it differs from previous approaches to traffic safety, and examine a local case study. The Denver Vision Zero Action Plan included extensive data analysis and an inclusive public process that resulted in 70 clear actions. 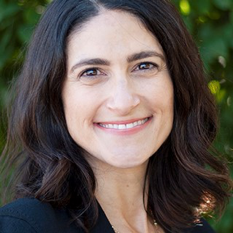 Jessica Fields, P.E., AICP, an experienced transportation engineer and planner that crafted the Denver Vision Zero Action Plan, will share details on the action plan process, key initiatives and results to date. WTS members only and is limited to 20 people. Tickets are $15 and are required for this event. Price includes catering by Illegal Pete's. Ticket sales end on Dec. 17. If you have questions, please contact Amanda Cushing or Annie Kitch for more information.